TRANSCEND AND FORTIFY, alcohol ink on aluminum, 32" x 32"
Originally from Somerset, England, longtime Asheville painter Constance Williams got her start as a self-taught artist in clay sculpture but over the years has mastered the use of encaustic work and a medium called alcohol ink, which she layers over ridged aluminum and heats to create her now-signature abstract forms. She begins each piece with a palette and design in mind, hand-mixing the paints in an electronic skillet and then carefully layering colors on the aluminum. 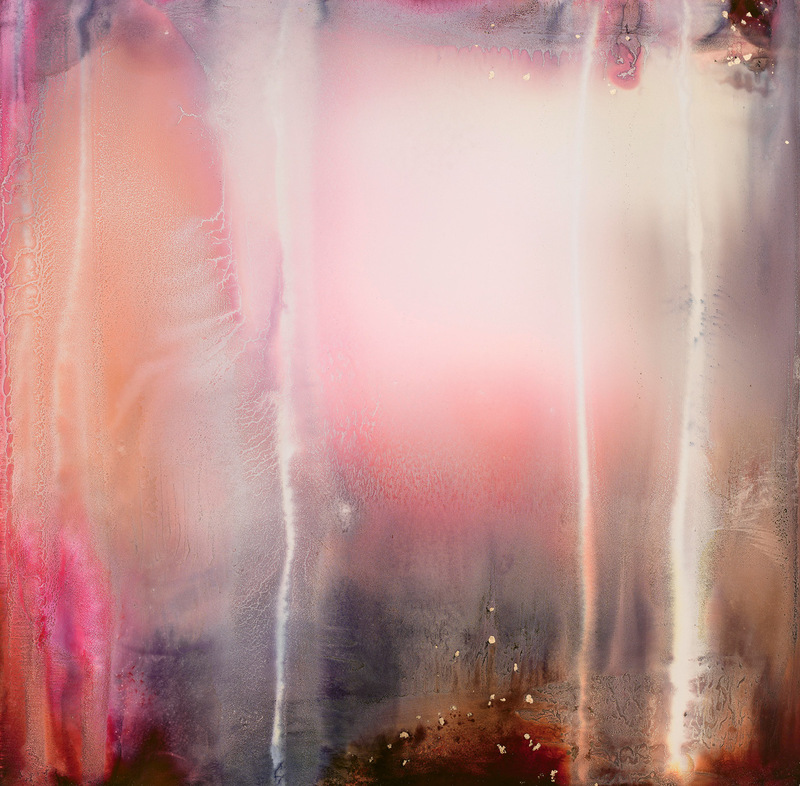 To create the rich texture of the work, Williams manipulates the ink using compressed air and heat, pulling hidden colors from multiple layers to the surface and creating an ethereal, fluid effect. Because the ink dries fast from the evaporation of the alcohol, timing is everything. “You have as much control as you can,” she says. “I always have an idea for my work but the medium lends itself to surprises.” Find Williams’ work in her studio by appointment at RAMP studios in Asheville and online at http://www.constancewilliamsstudio.com/.